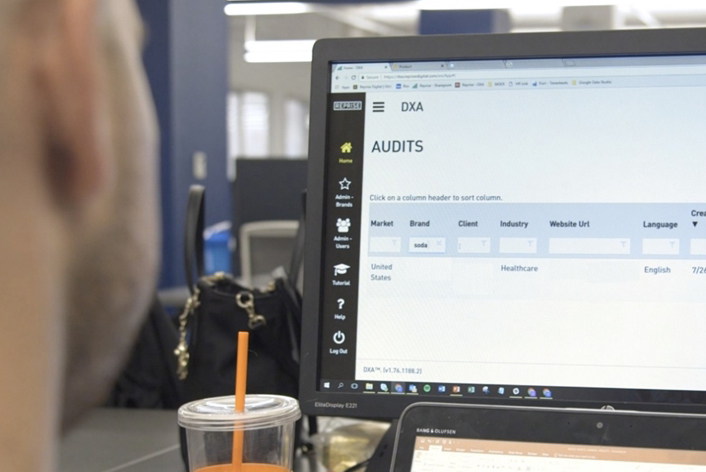 Reprise, IPG Mediabrands' media marketing arm, today launches a global auditing platform it calls "the single biggest product launch the company has ever seen" and a "game changer" for the agency. Digital Experience Audit, which originated in Asia-Pacific and has been evolving over the past two years, looks at hundreds of different factors in a brand’s digital performance across various channels, breaking them down and simplifying them into smaller components to make it clear where and how to improve, explained Ben Poole, managing director of Reprise APAC. "There are light versions and then there are more comprehensive versions," Poole said. "The way that we've designed it, you can undertake a light audit of a particular channel in couple of hours, or you can undertake a more comprehensive audit within a few days." While the new product was developed by a team in the US, the earliest versions of DXA were born in Australia, and Poole says it is "fantastic" to see a product from this region going global. "In its most original form [DXA] was pretty basic and spreadsheet-based, but it is now a fully visualised system with a bunch of different inputs around how a brand is currently performing across organic search, paid search, paid social, organic social and mobile." As well as helping existing clients to understand their positions and those of their competitors, Reprise will use DXA in pitches when meeting brands for the first time to give them "a point of view" on that brand’s performance. The agency is also already deploying it to analyse the state of different markets. At the recent Digcon conference in the Philippines, for example, Reprise ran several randomly selected brands through DXA and was able to call out specific comparisons and observations: BPI, the Filipino bank, for instance, has some "incredible opportunities" around mobile website optimisation, the platform showed. DXA will launch this week with a comprehensive training programme and local specialists in all markets who are familiar with running the analysis. Poole said it would continue to evolve and expand, with an ecommerce and an analytics audit in the pipeline. "I think it will be a game changer because I've not seen anything similar to this currently in the market," he explained. "If it's used universally and comprehensively, I think it will really start to change the game for us in terms of helping brands make ongoing improvements within their digital experiences."